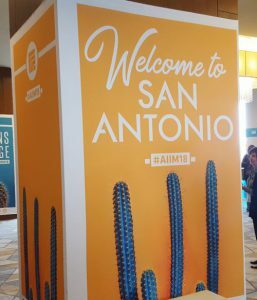 Last month I had the pleasure of going to San Antonio for the 2018 AIIM Conference. As always, AIIM hosted some great conversations and informative presentations. Some of the discussions focused around emerging technologies in the information space, blockchain, and artificial intelligence. Lots of new technology were discussed in a panel run by Alan Pelz-Sharpe. He and his panelists; Andrea Chiappe, Kashyap Kompella, and Dan Abdul; broke the technologies down and how they impact the world of information management. Alan noted that during his preconference session, a surprising number of people were already very familiar with these new technologies. That is a refreshing realization. Broad understanding in the industry is critical towards creating practical applications with any new technology. Many people know blockchain through its use by Bitcoin. A type of cryptocurrency, Bitcoin and other cryptocurrencies, provides a distributed, irrefutable, proof of a financial transaction. When buying goods and services, the participating parties can add to the Bitcoin blockchain, creating an indisputable record of what happened. Blockchain technology is the ultimate in auditing. However, the technology goes a lot deeper than alternative currency. Other industries are looking at using them for contracts and to fight fake event ticketing. This keeps spurring the same question, How we should use blockchain technology in the content space? During conversations, we decided the first rule of content blockchain is that you shall not put documents in the blockchain. Instead, you include links to the content with digital hashes, or fingerprints, that can prove that the document is unaltered. This makes the overhead of encrypting each link in the chain lower. The second rule is that if you aren’t performing transactions between organizations, blockchain is overkill. A car company or government agency wouldn’t use blockchain for internal processes. However, if they were tracking orders or interactions with constituents, blockchain might be a solution. One cool insight Andrea shared was that if you need to support real-time transactions (think the stock market) then blockchain isn’t going to be fast enough. For blockchain at that scale and near instantaneous speed, you will need quantum computers to perform the work fast enough. The panel, and many other sessions, discussed artificial intelligence (AI) and how it is being used today. There were some distinctions made between the different technologies. We are no longer talking about creating artificial beings, now call general AI. The focus is having computers make decisions that have traditionally required people to make. Machine learning is the next level and it is the level that is most exciting for me. To extend the auto-classification concept, the system could analyze existing records and begin to classify new records based upon new trends. Perhaps it would learn that all emails between the CFO and accounting staff are all about company finances and should be kept as a finance record unless the word lunch is in the email. Making that realization would take a lot of work by a person but machines. Deep learning comes into play in image, video, and audio recognition. There is a lot of information you can derive from these content types. If a picture is worth a thousand words, what is that video from an event worth? There are lots of layers to dissect in rich media. Deep learning breaks rich media formats into those layers and extracts that value. There were a lot of questions about robotic process automation (RPA). This is a relatively new term and there were many questions about where it fit in the bigger AI picture. Aside from the normal need by marketing to create new terms, RPA is a term that best lives in the business process management (BPM) world. It covers the ingestion of data from forms and using that information to make process decisions. Essentially taking the painful manual part of the process and automating it on well-defined business rules. When you get down to it, all forms of AI is a set of business rules. What varies is the level of complexity and sophistication used to extract the information. RPA works with well-defined forms, data, and content. AI looks for patterns and make decisions based upon those patterns. Machine learning can evolve its own algorithm to become more accurate over time. Deep learning pulls in complex neural networks to identify more amorphous items. Bottom line, all of it aims to take what is easy for people and have machines take care of it for us. 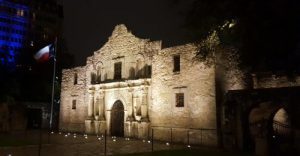 If you would like to read more of my thoughts from the AIIM Conference, I recently wrote about some of the digital preservation discussions over on my CMSWire column. With all the focus on capturing or disposing of information, talking about keeping information around for generations appealed to my love of history. Additionally, if you are in the DC Metro area, on Thursday, May 17, the local AIIM Chapter will be talking about these cutting-edge technologies. Myself and other AIIM Conference attendees will be leading discussions. Stop by if you are in the the area.